NAEM's 2015 EHS Management Forum David Mordue, IT Sourcing Manager; Pacific Gas and Electric Co.
David Mordue, IT Sourcing Manager; Pacific Gas and Electric Co.
Dave Mordue has been a sourcing and procurement professional for more than 20 years. 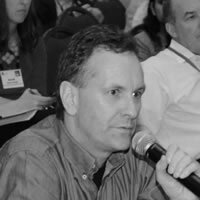 He has led strategic supplier negotiations and management initiatives across many categories of spend in the US and Europe. Dave was US Head of Procurement for British Telecom Global Services for 3 years. In 2011 PG&E recruited Dave to provide strategic direction to their environmental consultants and suppliers as well as other shared services. Dave developed a program that incentivized PG&E's environmental consultants to maximize their performance, deliver cost benefits over and above their contract and strive to innovate. Dave is now PG&E's IT Sourcing Manager working in Downtown San Francisco.